DPI believes in offering the best quality produce for a compatible price to that of the market’s price every single day. It is our priority to offer a fair price and that means we will work hard to make sure our customers will be able to maintain their produce inventory and advantageous business operations. Buying from the growers direct permits us to maintain a cooperation that reaps the best produce available in the market. We understand that each of our customers have to exceed the expectations of their own customers. To help them, we must see to it that we provide superior produce, on time. 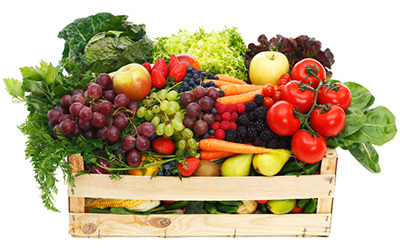 As experienced Produce Brokers, our relationship with you expands to your customers, making sure they’re satisfied. Our business is serving your business, and we never lose focus on that pledge. DPI is committed to enforcing and expecting the highest ethical employee standards and management practices. That means our team is dedicated to improving customer service on a daily basis and making sure it is always an important factor when serving our customers. Our sales professionals average over 20 years of produce experience and are bilingual in English, Spanish and Farsi. Each Sales Associate is (i) knowledgeable about the characteristics of a variety of fruits and vegetables, (ii) very familiar with the fluctuating daily price changes within the produce market and (iii) dedicated to providing great customer service. Since our mission is to distribute only top quality, fresh produce our sales team consistently visits the crops of our growers to check and ensure their fruit growers are properly harvesting. We visit their crops from growth to when it is packed up and ready to be sold by our team. Not only do we keep a track on the growth and care of their produce in the fields, each and every Sales Associate thoroughly examines each order when it is being prepared and before it is shipped. Receivers and dispatchers set up the orders; however our Sales Associates give the final overlook and approval before the order is sent out. This is our guaranteed and dedicated customer service ensuring we will provide you nothing but fresh, high quality wholesale fruits and vegetables. Copyright 2014 Direct Produce. | All Rights Reserved | Website developed by Caspian Services, Inc.